Delphi Automotive is developing a new system that will allow motorists to charge electronic devices wirelessly in their vehicles. Showcased at the Consumer Electronics Show, the system sends out power over distance to deliver a charge without exactly positioning the device. The company claims that the system will get rid of the inconvenience, distraction and clutter of multiple charging cords. The new system makes use of magnetic resonance technology, which is better than traditional inductive charging as it can send power over distances, can charge several devices simultaneously and does not need exact device positioning to deliver the charge. The system is being planned to be production-ready by model year 2014. Honda Civic had a hard time maintaining its stronghold in Canada due to intense competition and lower production caused by the earthquake in Japan and flooding in Thailand that both have affected sales. In spite of these challenges, the Civic has pulled it off, having clinched the top-selling passenger car title in the country for the 14th straight year. 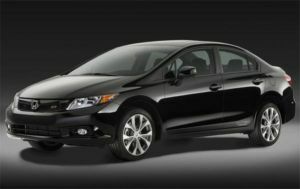 A total of 55,090 Civics found a new owner last year, about 10,000 higher than the Hyundai Elantra. This figure is approximately 18,000 and 21,000 higher than the Mazda3 and Chevrolet Cruze, respectively. The Chevrolet Volt will get enhancements aimed at protecting the battery from an electrical fire after a severe crash. These modifications will improve the plug-in hybrid electric vehicle’s battery coolant system and structure. The enhancements are in response to an initial evaluation conducted by the US National Highway Traffic Safety Administration (NHTSA) to check post-severe crash battery performance. It was on November 25 when the agency opened the evaluation after a severe-impact laboratory test on a battery that lead to an electrical fire after six days. Such test was performed in order to reproduce a coolant leak that happened in a full-scale car crash test in May, which led to an electrical fire after three weeks. These modifications will reinforce a current portion of the car’s structure to further safeguard the battery in a severe side collision. These will also add a tamper-resistant bracket to the top of the reservoir of the battery coolant system to help avoid coolant overfill. A sensor will also be added on the battery coolant reservoir to observe coolant levels. Volt owners will be notified individually when the enhancements are available for their cars. 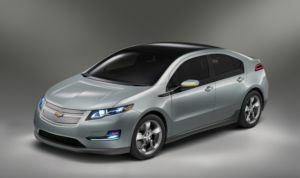 The modifications are also being integrated into the Volt manufacturing process as production recommences this month. CODA Holdings announced at the Los Angeles Auto Show that production of its self-named flagship sedan has begun for next year. Inspired by the Chinese mid-class Saibao sedan, the CODA is built by China’s Harbin HF Automobile Industry Group (Hafei), and then sent off to California for final assembly. CODA is a privately owned, Los Angeles-based company that produces low-speed, short-run electric vehicles (EVs) for government use. Thanks to a private funding worth about $300 million, the company ventured out to produce an affordable, mainstream EV with a greater range than any car currently available on the market. Consumers can get the car at a starting price of US$39,000, but a California rebate worth $2,500 and federal tax credits amounting to $7,500 would make the price more attractive. CODA is committed to reduce costs and pass the savings on to consumers, said CEO Phil Murtaugh. The company also hopes to sell 14,000 EVs in the US and aspires of eventual worldwide distribution. The CODA boasts an electric drivetrain that offers twice as fast charging times than the Nissan LEAF’s, as well as a driving range of up to 240 km on a single full charge. The car is even more powerful with 134hp and 221 lb-ft of torque. The CODA also comes with a 36 kWh lithium-ion battery pack, which stores 50 percent more energy than the LEAF’s. Alberta-based Kyoto Fuels Corporation will get an investment from the federal government worth up to $31.14 million over six years through the ecoENERGY for Biofuels program. Kyoto Fuels will generate up to 66 million litres of biodiesel every year, converted from animal fat or cooking or vegetable oil. The firm plans to sell the product to diesel producers in the northwestern United States and Western Canada. Greenhouse gas emissions from biodiesel can be reduced up to 80 percent over regular diesel, said the government. Canada is spending up to $1.5 billion via the ecoENERGY for Biofuels program over a period of nine years to generate jobs in the clean energy sector and cut greenhouse gas emissions. Current regulations require a 2 percent in heating oil and diesel fuel and 5 percent renewable fuel content.